It is well known that the rate of weight gain of very low birth weight infants during initial hospitalization is influenced by both the type (mother’s milk, donor, or formula) and nutrient composition of their enteral feeds (Aimone et al., 2009; Poindexter, Langer, Dusick, & Ehrenkranz, 2006). In addition, it has been shown that the postnatal growth rate positively influences neurodevelopment (Ehrenkranz et al., 2006; Latal-Hajnal, von Siebenthal, Kovari, Bucher, & Largo, 2003; Sammallahti et al., 2014). However, rapid weight gain or catch-up growth is also associated with greater fat mass in childhood (Singhal et al., 2010) and higher blood pressure in adolescence (Singhal et al., 2007). In general, infants born prematurely have more fat mass and less fat-free mass than term babies in early life (Johnson, Wootton, Leaf, & Jackson, 2012), in childhood (Giannì et al., 2015), and in adulthood (Sipola-Leppanen et al., 2015). Moreover, preterm infants, particularly those born small-for-gestational age, are more likely to be obese and develop metabolic syndrome later in life (de Jong, Cranendonk, & van Weissenbruch, 2015; Sipola-Leppanen et al., 2015; Uthaya et al., 2005). Given the known positive association between rate of weight gain of very low birth weight infants during initial hospitalization and later neurodevelopment, a better understanding of the combination of feeding type and nutrient composition that maximizes brain development, but reduces the risk of obesity and chronic disease in adulthood, is urgently required. Feeding donor milk to very low birth weight infants in the NICU may improve quality of growth and health outcomes later in life. Unlike preterm formula, pasteurized donor milk contains immunoglobulin, growth factors, and cytokines, which are important for gastrointestinal development and inflammation reduction (O’Connor, Ewaschuk, & Unger, 2015). Moreover, preterm infants fed human milk appear to develop less fat mass than those fed infant formula (Huang et al., 2016). 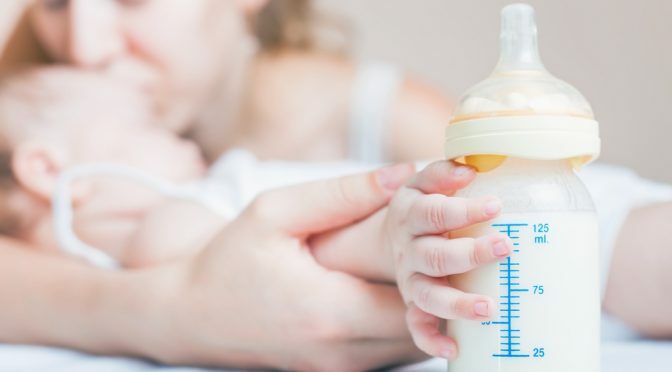 However, infants fed fortified donor milk are known to experience slower postnatal growth rates than formula-fed infants (Schanler et al., 1999). Nevertheless, it is understood that the benefits of improved health outcomes greatly outweigh the slower growth rate associated with breastmilk consumption (Quigley & McGuire, 2014; O’Connor et al., 2016). Finally, it is unknown if donor milk compared to preterm formula is the ideal supplement to mother’s milk in very low birth weight infants. Accumulating evidence emphasizes the potential for infant nutrition as a dominant and modifiable predictor of childhood obesity risk (Brands, Demmelmair, & Koletzko, 2014). However, no studies have examined the long-term impact of donor milk in comparison to preterm formula on the growth and body composition of very low birth weight infants. Understanding the role of donor milk and preterm formula in the programming of body composition of very low birth weight infants will provide important insights into potential nutritional strategies to support the growth and development of this population. Anderson, J. W., Johnstone, B. M., & Remley, D. T. (1999). Breast-feeding and cognitive development: a meta-analysis. American Journal of Clinical Nutrition, 70. Callen, J., & Pinelli, J. (2005). A review of the literature examining the benefits and challenges, incidence and duration, and barriers to breastfeeding in preterm infants. Advances in Neonatal Care: Official Journal of the National Association of Neonatal Nurses, 5(2), 72–88; quiz 89–92. Yoshioka, H., Iseki, K., & Fujita, K. (1983). Development and differences of intestinal flora in the neonatal period in breast-fed and bottle-fed infants. Pediatrics, 72.